Niall McNulty was part of the Ulwazi team that came runner-up in the ‘Innovative Use of Technology for Community Engagement’ category at the recent Telkom-Highway Africa New Media Awards. The 16th Highway Africa conference took place from the 9th – 11th September 2012 at Rhodes University in Grahamstown, in association with the Global Forum for Media Development (GFMD). The Highway Africa New Media Awards were presented at a gala dinner on the 11th of September. 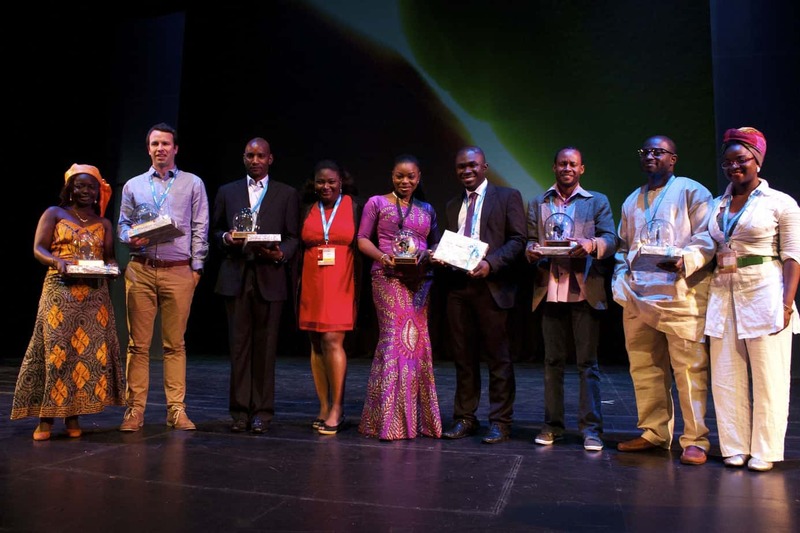 These are unique and prestigious awards that reward innovative use of Information Communication technologies (ICTs) in journalism that serves Africa and its citizens. The awards were pioneered to highlight the role that ICTs play to enhance journalism and the media, in the process uplifting communities. This entry was posted in Africa, Publishing and tagged Indigenous Knowledge, Innovation on October 11, 2012 by Niall McNulty.